When it comes to healthy eating or losing weight, you’ll often see celery among the list of vegetables used for smoothies or juices. Ever wonder why? In this article we explore the benefits of celery juice. And in the process see what this simple looking vegetable has to offer. This will give us an idea of why it’s such a valuable ingredient in many weight loss diets and healthy eating plans. Now we know what celery is and contains in terms of nutrients, it’s time to see what this vegetable can do for our health. 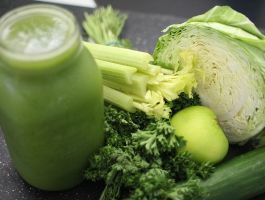 Drinking celery juice is one of the most effective and natural ways of reducing cholesterol levels in your bloodstream. Celery juice is actually known to help reduce the bad cholesterol while boosting good cholesterol at the same time. For anyone looking for a natural way to reduce blood pressure or get off hypertensive medication, give celery a try. Celery juice has for a long time been recommended by practitioners of Chinese medicines. 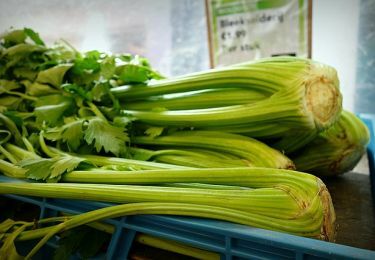 Drinking celery juice every day has been associated with reducing blood pressure to a healthy range. This is because it contains phthalides, which are known to help relax arterial muscles. This leads to improved blood circulation throughout your body. In addition, it also credited with reducing stress hormones that are known to lead to constricted blood vessels. One of the most effective foods for helping reduce hay fever and allergies is celery. All you need to do is concoct a tasty vegetable juice. You can do this by mixing celery with ginger and carrots. Together this mixture can be used as a very effective natural treatment for allergies. The greatest advantage of using this natural juice as a treatment option for allergies is that it allows your body’s natural immune system to act fast against irritants. One of the most important vitamin B vitamins is folate. It plays a very important role when it comes to producing, breaking down, and using proteins in your body. Lack of folate can lead to diarrhea, mouth ulcers, anemia, and mouth ulcers. 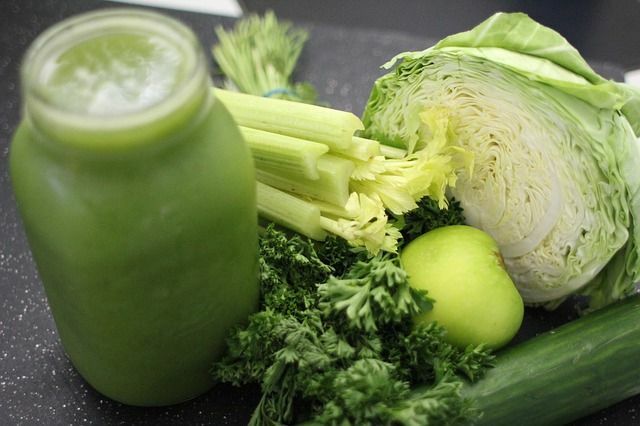 Raw celery juice is rich in folate and contains 145 micrograms of folate in a single serving. This is much more than the recommended daily intake of folate for both men and women. Celery is associated with anti-cancer compounds. These compounds help prevent cancer from spreading. Acetylenics is one of the best known among these compounds; it is known to help stop the growth of cancer cells. Celery also contains phenolic acids, which are credited with helping inhibit prostaglandins that promote the growth of cancer cells. It also contains coumarin, which is a phytonutrient that helps prevent free radical damage. This in return helps prevent the development of colon and stomach cancer. Plays an important role in building muscles and proteins. Raw celery juice is rich in potassium. A single serving contains 1050 milligrams of potassium, which is more than the recommended daily intake for both men and women. Celery juice contains special nutrients that are known to aid digestion by helping promote bowel movements. They do this by acting as a natural laxative as well as helping relax the nerves that have become damaged as a result of excessive use of synthetic laxatives. If you look through diet books or smoothie recipes, you’re likely notice that celery is present in a lot of them. There’s a reason for this. It aids in weight loss. Celery juice is one of the most effective weight loss foods because of its low calorie content. In addition, it is known to help reduce cravings for sweets and also makes you feel full faster because of its high water content. The veggie also contains fiber which helps in maintaining a healthy weight. Vitamin K also helps your body to use calcium, leading to health bones and teeth. Vitamin K helps promote blood coagulation, leading to faster healing of bruises and wounds. 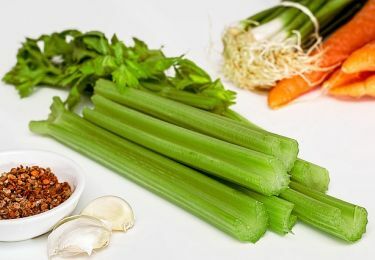 A single serving of raw celery juice will provide you with more than 118 micrograms of Vitamin K. This is more than twice the daily recommended amount for both men and women. As we’ve seen above, celery juice is one of the healthiest things you can drink. The good news is, it’s also easy to make. All you need is a juicer. Below, we’ve included a video that explains how to make celery juice. You can try this out and enjoy the benefits of celery juice. If you’re one of those people who isn’t a big fan of celery’s taste. Then all you need to do is add fruits or vegetables whose flavors you do like. You can easily add carrots or spinach along with the celery juice. You can likewise include some chopped up fruits into the drink to improve its flavor. As simple as it may look, celery’s benefits are far ranging. These simple looking green veggies are low in calories, have no cholesterol and very low in fat. Then they contain healthy carbohydrates, fiber, vitamins A, C and K, along with potassium and folate as well.